Each week at The Pollination Project, we bring seven seed grant recipients to the center stage, shining a light on their passions to make the world a greater place. This week we have women across the globe uniting together to give fellow females a place to be heard and furthermore a place to be successful. In Uganda they come together to construct safe and environmentally friendly fuel while women living amongst the Israeli-Palestinian conflict are allowed opportunities to share experiences. Congratulations to our seven recent recipients! Fanuel Masunda, Green Corridors for Pollination and Ecosystems Revival, Masvingo, Zimbabwe. Local villagers are trained in what makes up healthy ecosystems to bring insects and pollinators back home. Sarah Arnd Linder, Political is Personal, Brussels, Belgium. 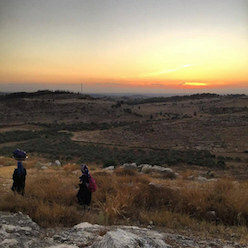 Women's voices are heard through the narration of twenty-two stories surrounding the Israeli-Palestinian conflict. Apilo Judith and Osana Lorna, Women Empowering Women, Gulu, Uganda. Women are trained in various life skills that afford them to produce affordable fuel from recycled biomass. Jennifer Dempsey and Ngor Abiar, Walk for Sudan in Salida, Salida, Colorado, USA. Two former lost boys of Sudan visit the United States to speak of their experiences to raise funds for students to attend school. Emmanuel Liyong Sama, Training of Youths in Traditional Handicrafts and Livelihoods for Cultural and Entrepreneurial Development, Balikumbat, Cameroon. Youth are trained in traditional handicrafts for entrepreneurial development and cultural promotion. 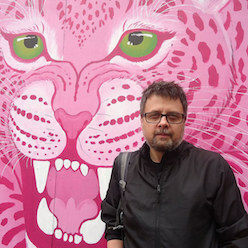 Francois Primeau, The Age of Beasts: A Film About Cruelty and Compassion, Montreal, Canada. A documentary film examines the relationships between the human and animal race, proposing that veganism is a form of global consciousness rooted to ethical principles. Megan Garrido and Victor Garrido, Association Proyecto 1, Zacapa, Guatemala. Quality health services are provided to those living in extreme poverty through the promotion of wellness and education.